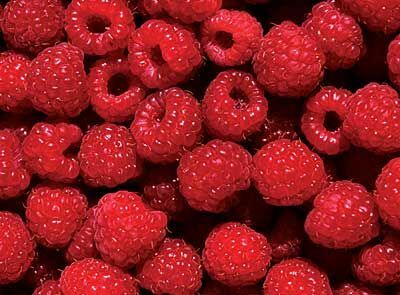 Gaia is an excellent late summer season Raspberry with a complex parentage involving such well loved old luminaries as Lloyd George, Norfolk Giant, Pynes, Royal and Black Raspberry. With such a wealth of quality ancestors all contributing it is not surprising that Gaia has so many outstanding qualities to offer. Gaia has a very good plant habit with vigorous erect canes which are only moderately spiny. They have shown resistance to Root Rot, Bushy Dwarf Virus, Cane Botrytis and some strains of Aphid Virus Vector. The large round to conical fruits have a truly beautiful flavour - very sweet but with a slight underlying acidity which gives intensity and richness to the flavour. They are easily plugged and have made a well flavoured jam as well as being ideal for dessert and all other purposes. Gaia ripens later than main summer season, ripening over a 3-4 week period from the 2nd half of July. Gaia is a later summer season variety of real quality with outstanding flavour, disease resistance and yield. Highly recommended.